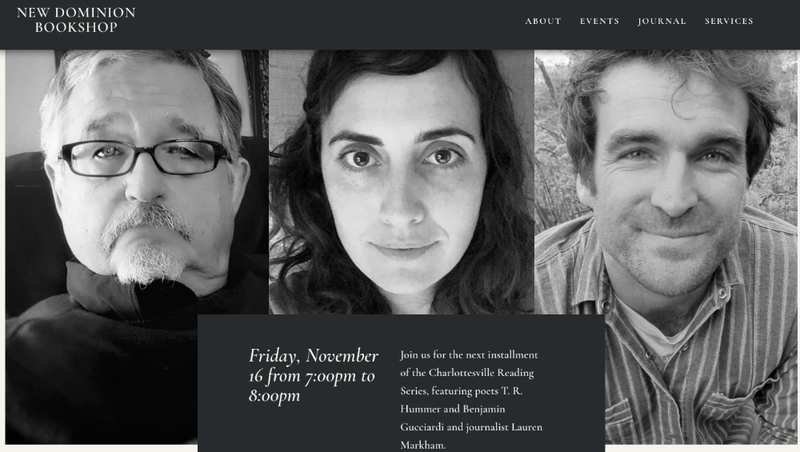 I had the honor of reading at the historical New Dominion Bookshop in Charlottesville, Virginia on November 16, 2018 with Lauren Markham and T.R. Hummer. I especially love this poem by T.R. Hummer, “As for the Housefly” which he read that evening. A special thanks to Sarah Crossland who coordinates the reading series!